The pinnacle of opulent design. 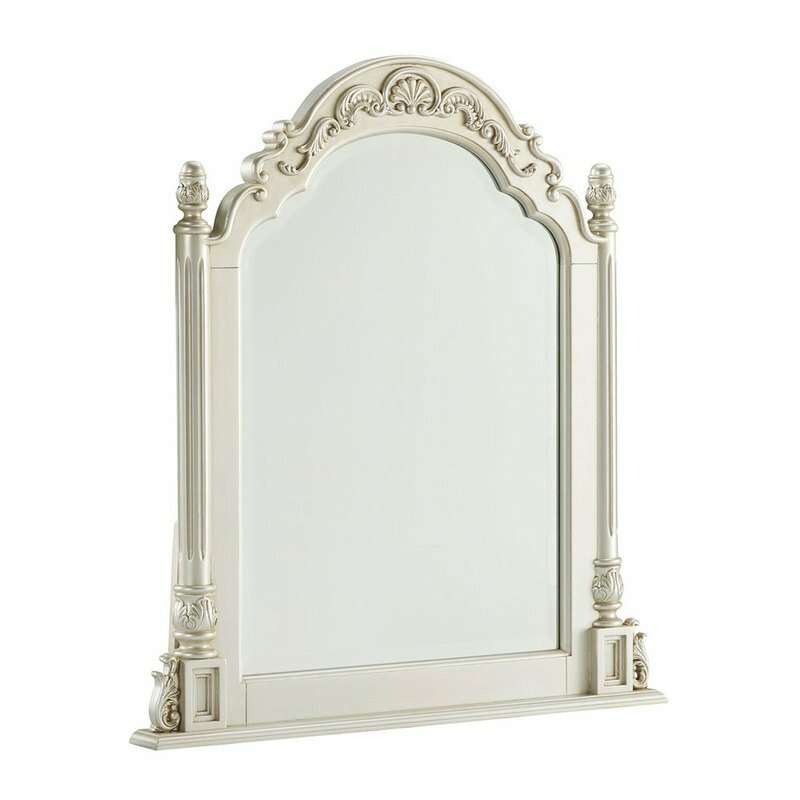 The Cassimore vanity mirror puts Hollywood glitz over the top. Bathed in a glazed silvertone finish, it’s decorated with appliques and elaborate details.